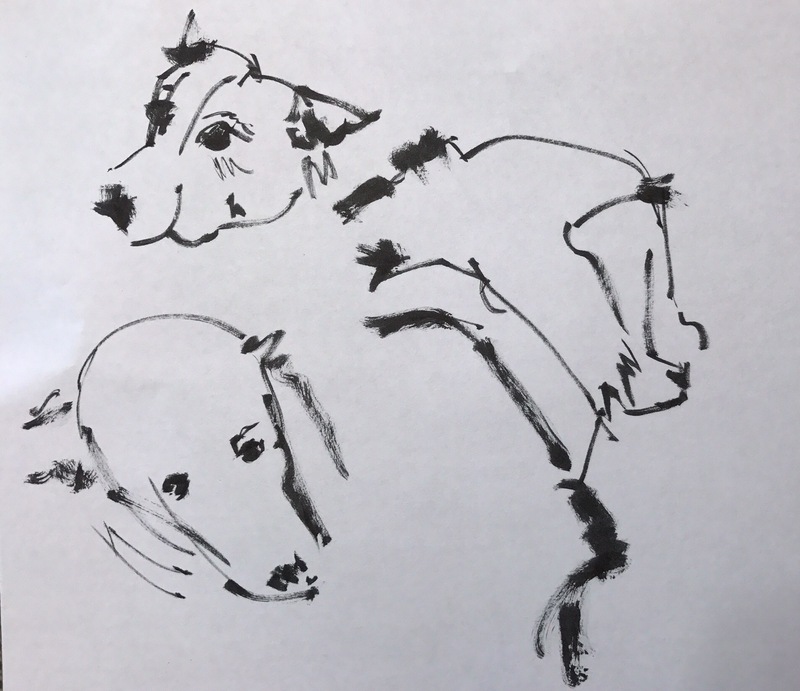 A gesture sketch is done looking at a person usually but I got annoyed with the way mine are going and decided to draw the dogs with gestures. I think I drew these Tuesday and they were great practice for Dr Sketchys. Here are the rest of them. 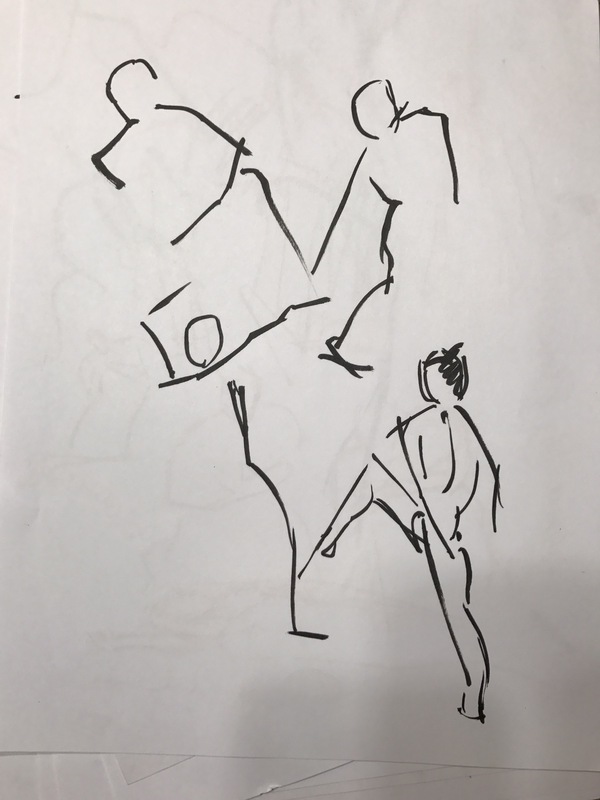 I really want to draw dancers this way. Esmeralda is the top left. 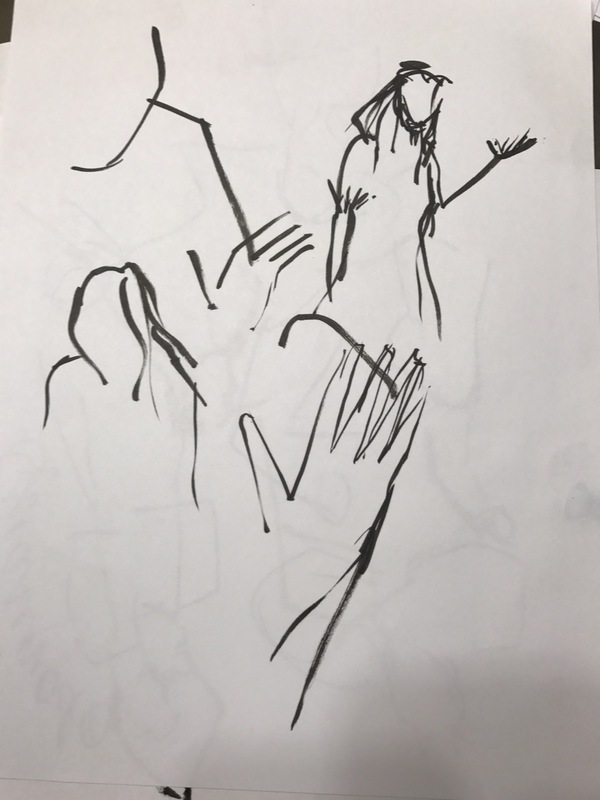 Quasimodo, Frollo, and Esmeralda bottom right and left. These were all drawn while I was watching Notre Dame de Paris on YouTube. 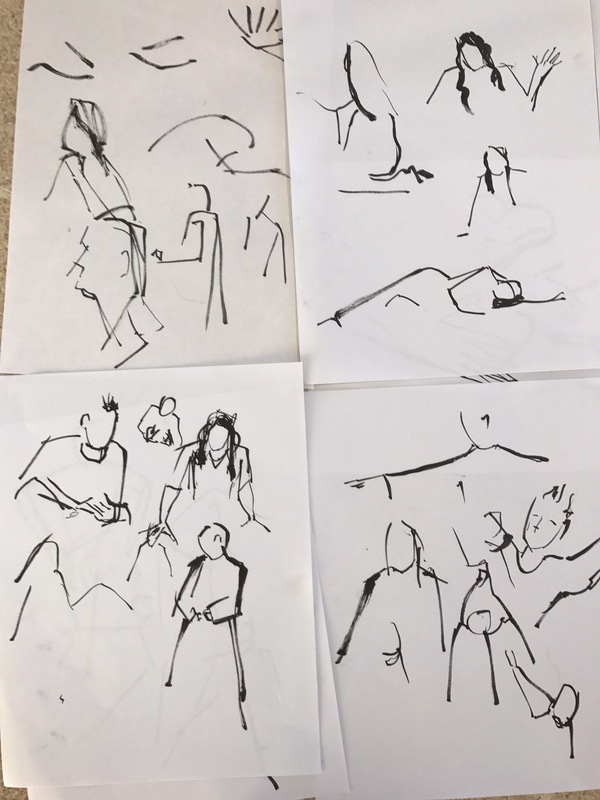 A lot of dramatic gestures good for drawing. 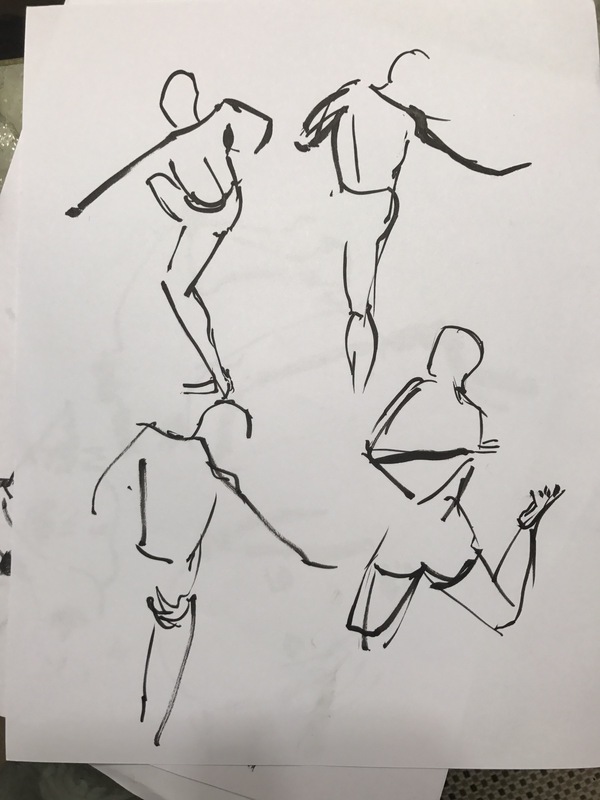 So how do you draw a gesture sketch!? I used a brush pen on these. No drag! It lets you draw quickly. 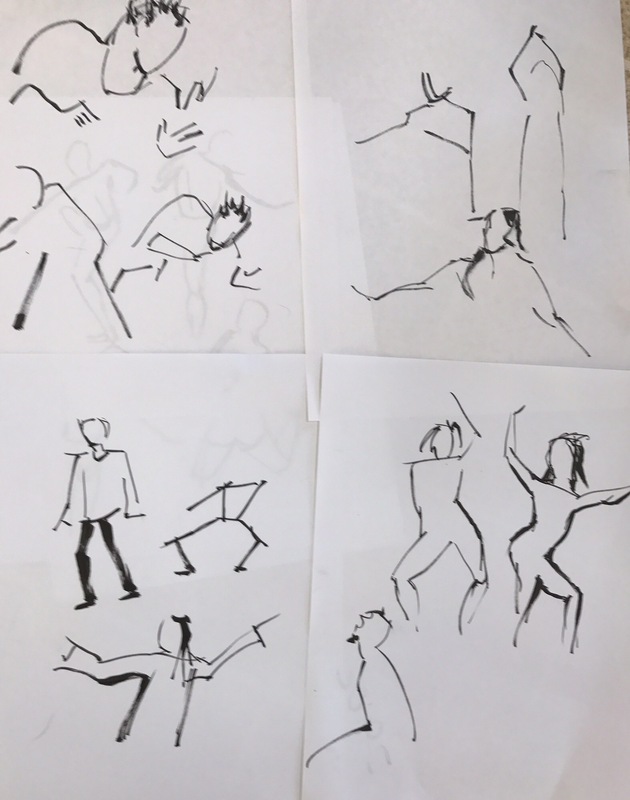 Gesture sketches are quick – a few lines to capture the gesture. 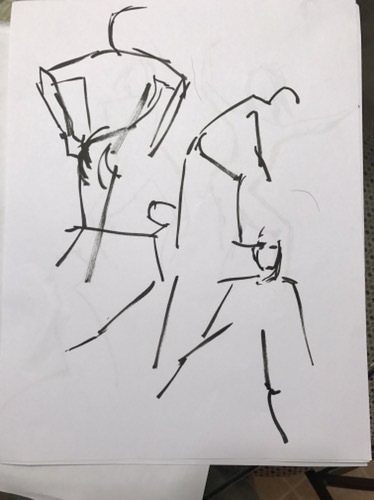 Why practice gesture sketches so you can mail sketches at Dr Sketchys or when you are out and about drawing people on the go. It really does help. Here’s a pile of them. The first one I did. Eekkk. Dancers well NO. But they were suppose to be. More dancers. Not the greatest but better. And a few more dancers. I like these better today than when I drew them. 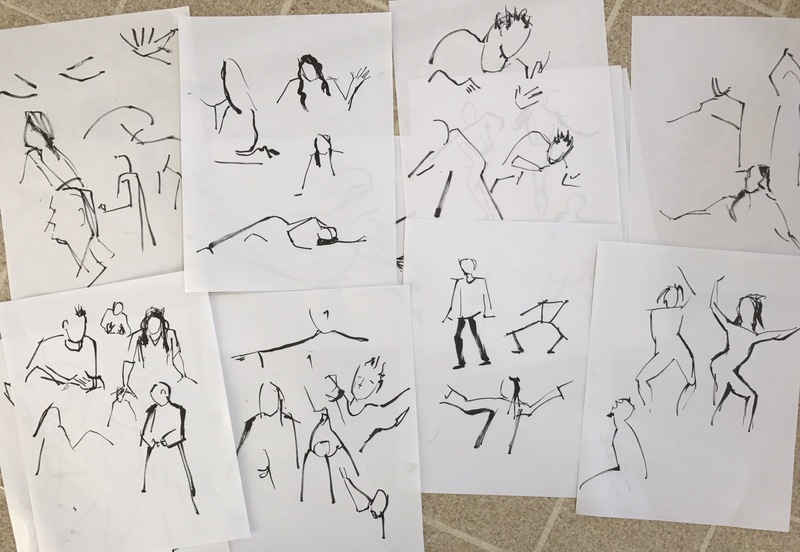 The feet kept disappearing when I froze tyhe video to draw the dancers or they zipped off into artistic shadows. 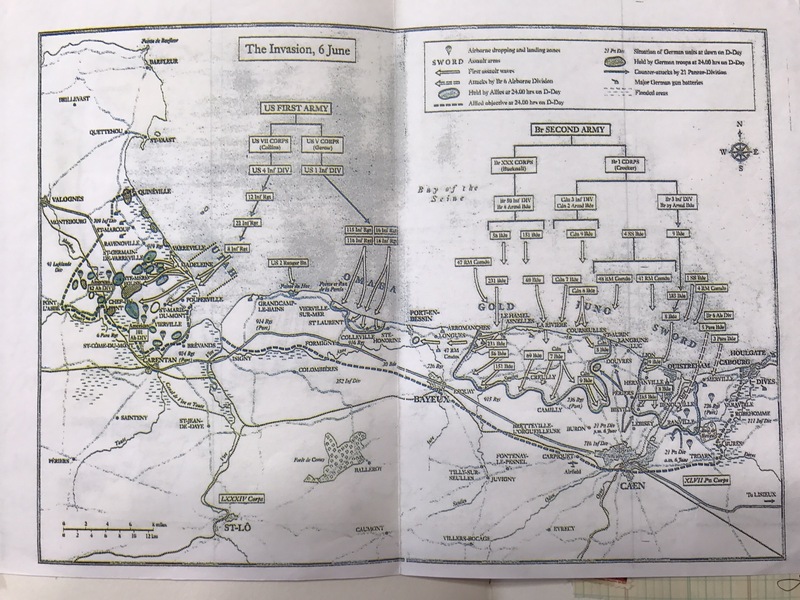 Visually great to look at but makes drawing HARD!! Go try it. A lot of fun.